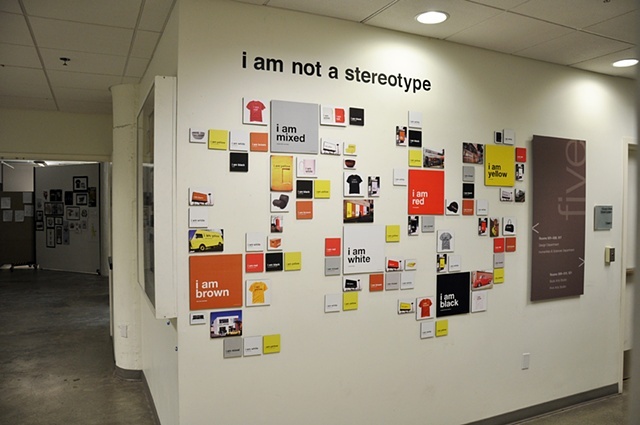 Main exhibit installation for i am not a stereotype. This was part of a group project with three other students for our fall Senior Studio course. There were also text wall installations at four other locations on campus.